Welcome to the first ever Dude giveaway reprise. Last year our Arctic Laser Giveaway proved so popular that we enticed the Jedi Masters over at Wicked Lasers to participate in a Round 2. So here's your second chance: enter to win the world's most powerful handheld laser (a $300 value)! Note: Giveaway entry is restricted to those aged 18 and over. 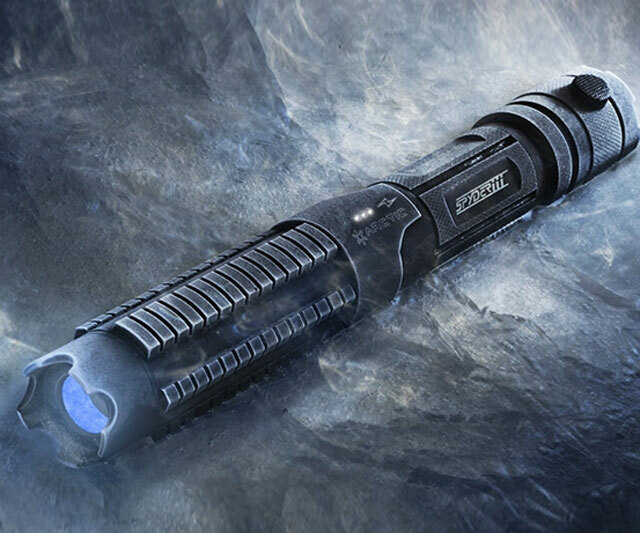 Wicked Lasers' Arctic is a compact pointer capable of emitting over 2,000mW of power. That's strong enough to incinerate sheets of paper, knock off inflated balloons, and serve as a beacon home to anyone who gets lost in outer space. Yep, the blue light of the Arctic is even visible from the most yonder of out yonder. Arctics can burn at variable strengths in 4 modes: constant on; momentary; strobe; and bypass. Their bodies are made from 6061-T6 aircraft-grade aluminum, and have a mil-spec type III hard, black-anodized finish. Battery power comes from a rechargeable 18650 Lithium-Ion, and life per charge ranges from 30 to 180 minutes. 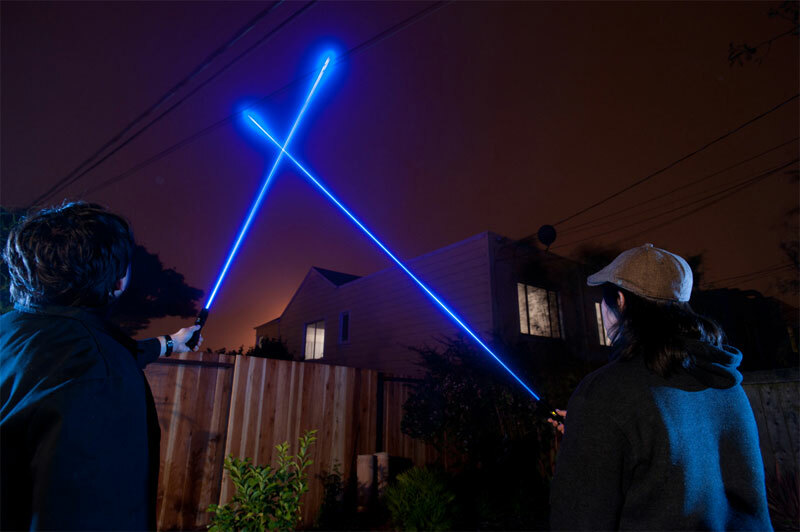 My recommendation for highest and best use of the Arctic: inside a Wicked Lasers Lasersaber. Ah, I can see my enemy now. My name is Inigo Montoya. You killed my father. Prepare to lose vision in your left eye! To register, click here and fill out the Arctic Laser entry form. Or, if you're already a member of DudeIWantThat.com, when the magic entry form button appears, just click it to enter. The Arctic Laser Giveaway entry period is open until 11:59 p.m. on Sunday, November 24th. Our drawn winner will be contacted by email within 48 hours of the entry period's conclusion, and have 24 hours to claim his/her prize. If we do not hear back from the first drawn winner in 24 hours, we will draw another winner. Again, this giveaway is open to all legal adult residents of the world. We cannot award the laser to anyone under the age of 18. WARNING: While we truly hope our Arctic Laser winner will use the prize to pop balloons instead of blinding the family cat, DudeIWantThat.com assumes no responsibility for misuse or injury resulting from its ill-advised application. 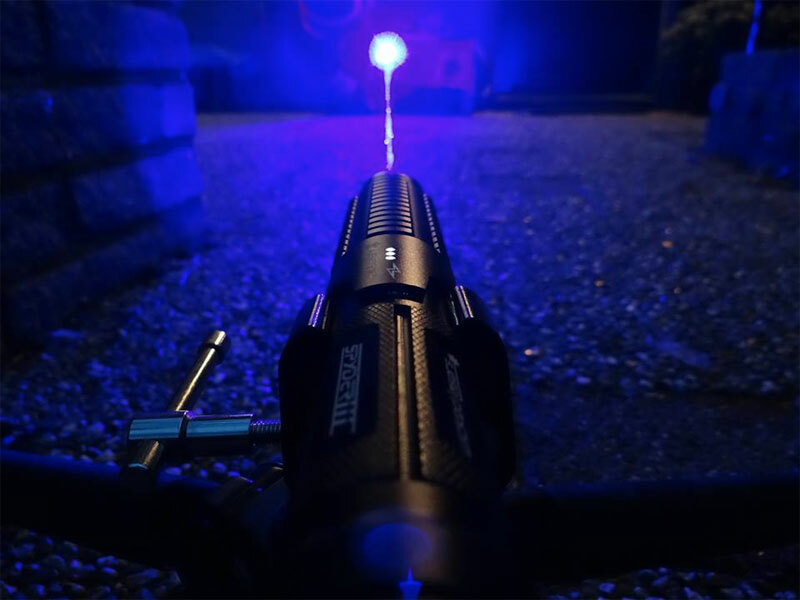 Wicked Lasers provides extensive information about the safe and responsible use of their products here, and reminds us that there are serious physical and legal repercussions, including fines and jail time, for inappropriate use. Lasers are not intended to be bought or used by minors, and anyone employing one should read and fully understand laser safety guidelines and regulations. 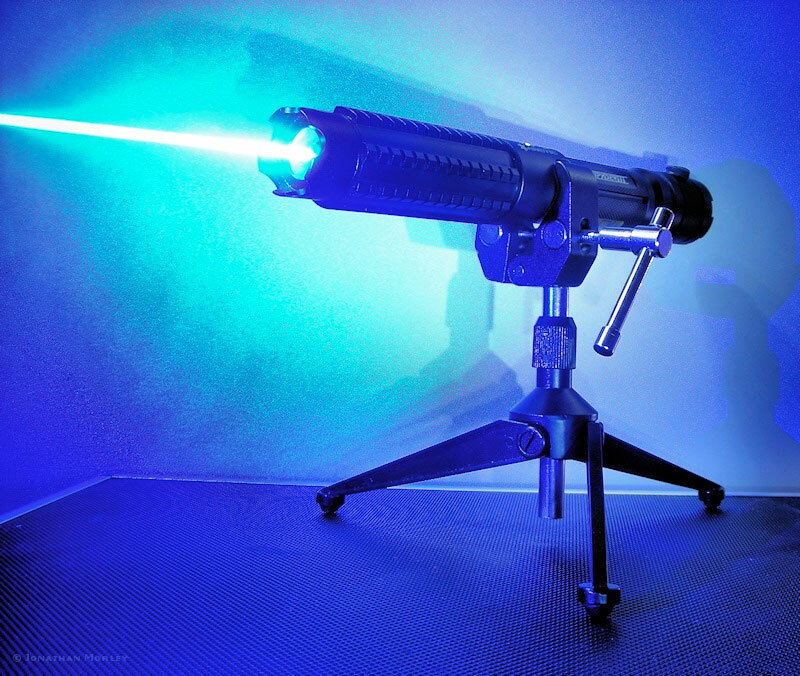 Arctic Lasers are priced at $299.95. If you can't wait to hear if you're a winner, follow the link below to grab one now. And be sure to check out the rest of Wicked Lasers' slick appropriations of the electromagnetic spectrum too. Congratulations to Kyle W. of Center Point, IA, winner of the Arctic Laser Giveaway. Thanks to all entrants, and to Wicked Lasers for participating!